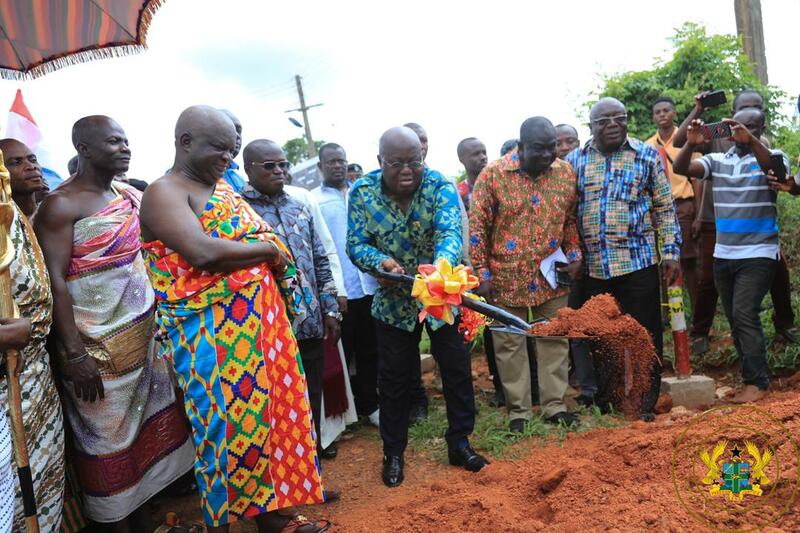 PRESIDENT AKUFO-ADDO CUTS SOD – NPP USA Inc. The new roads to be constructed are the 0.33km Asonson Street (Electricity Road); 0.50km Bungalow Road; 0.30km Nana Kof Nyame Street; 0.30km Nana Kojo Avenue; 0.51km New Adiembra Avenue; 0.40km Almighty Road; 0.50km J. B. Arthur Road? ; 0.50km Owuahene Road; 0.20km Okudom Street; 0.50km Asokro Street; 0.50 Afum Kroko Street; 0.30km Wiase School Road; and 0.20km Library Road.